Check back often as In-Store and Pandora Events are added regularly. You can call 610.367.2445 to speak with an E.G. 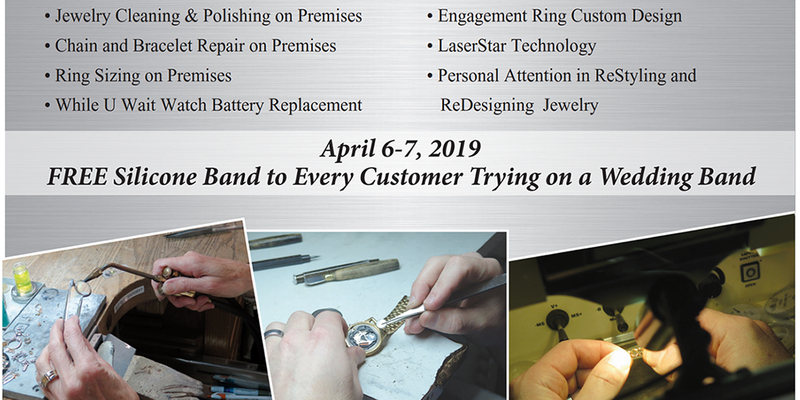 Landis Jewelers sales representative with any specific details and LIKE our FACEBOOK Page as we announce all promotions and events on FACEBOOK. Thank you from all of us at E.G. 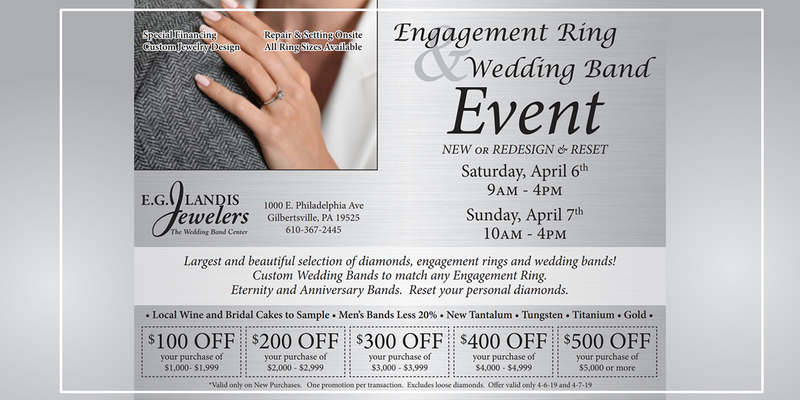 Landis Jewelers, the Wedding Band Center, for attending our special events, they wouldn't be so special and fun without you! All Rights Reserved by E.G. Landis Jewelers.